Leave it to The Cheeky to find a "cheeky" way to carry your iPad around. The secure, see-through pouches allow the screens to be seen while you move. 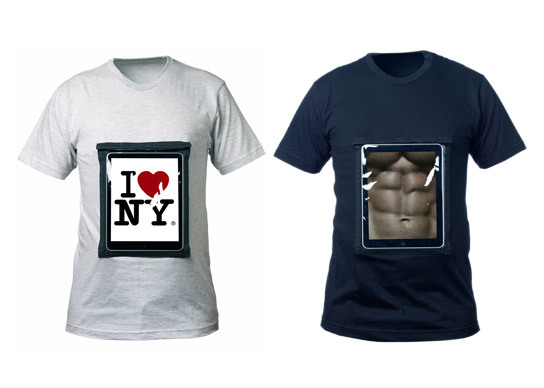 With the iPad T-shirt you can change the design of your T-shirt as easy as changing your facebook profile.